Join special guest host Mike 'The Howler' Howlett for this sordid selection of Pre-Code Horror screamers! 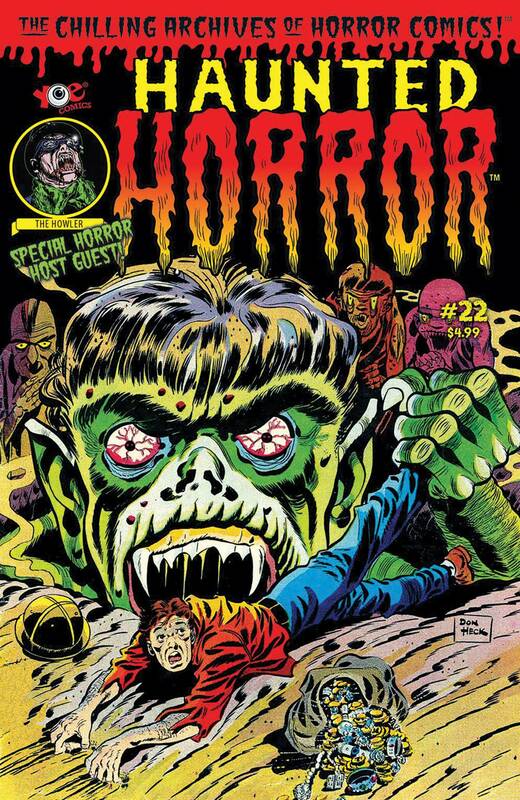 Artwork from Basil Wolverton, Sid Check, the Iger Shop and other horror masters bring you eight envelope-pushing tales of grue and gore from the days of yore. The twist here is that all of these stories were redrawn in the 1970s by the slimy Eerie Publications staff! The publishers of Haunted Horror assume no responsibility if your eyes pop clear out of your skull.